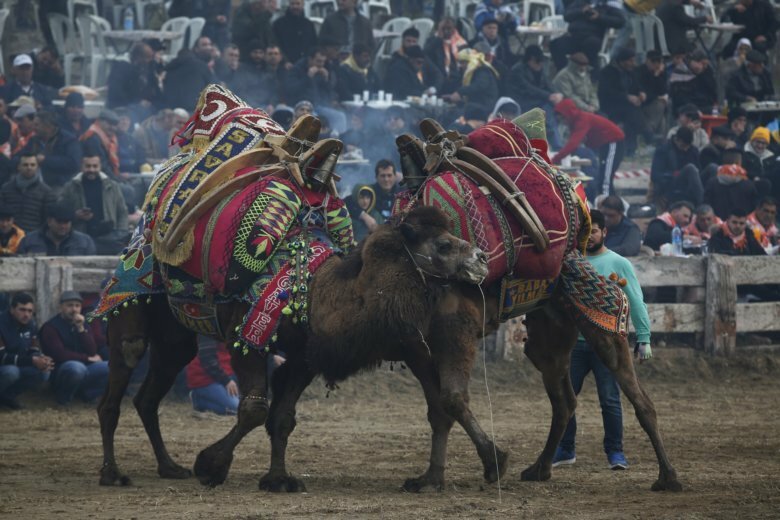 SELCUK, Turkey (AP) — Braveheart, Crazy Hasan, The Conqueror and Black Diamond were among the furry, hump-backed contestants in this year’s annual sporting showdown in Turkey: camel wrestling. The festival is also more than just wrestling. The day before the competition, the bedecked camels are paraded through town in a beauty pageant. During the main event, musicians perform traditional folk songs and families barbecue in the hills overlooking the arena, feasting on meat and sausage washed down by raki, Turkey’s traditional anise alcoholic beverage.